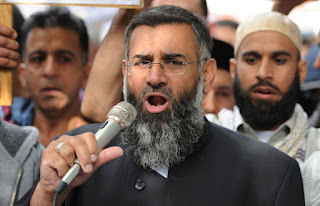 Choudary, 49, was jailed for five-and-a-half years for drumming up support for the barbaric Islamic State (ISIS) this week. While living off the state for 20 years - dubbing his handouts ’Jihadiseekers allowance’ - Choudary became one of the country’s most notorious radical preachers. And today Richard Walton, a former police chief, said “there was nothing to stop” sick ISIS sympathisers, like Choudary, claiming from the taxpayer when they get out of jail. But he called for ministers to be given the right to block terrorists from receiving benefits after they are jailed. Mr Walton said: “Are we prepared to let him come back and carry on claiming benefits? Choudary is estimated to have received a staggering £500,000 from the state while living off of benefits in the UK for the past 20 years. Former works and pensions secretary, Iain Duncan Smith said he had tried and failed to prevent hate preachers claiming benefits back in 2013.